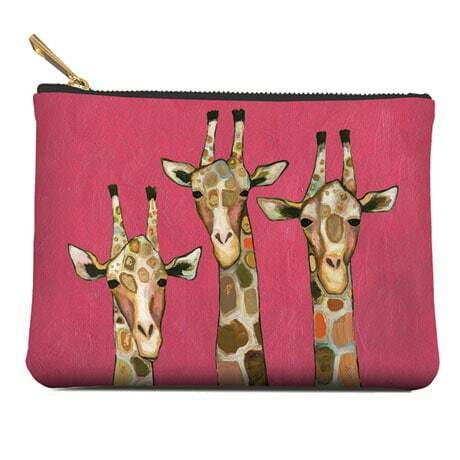 Three inquisitive giraffes stare back at you from our Majestic Giraffe Pouch. Featuring a bright, eye-catching wipe-clean cover and a black-and-gold zip, this 7½"x5½" pouch is just right for colored pencils, cosmetics, or any other odds and ends you need to keep tidy! And with our coordinating Majestic Giraffe Water Bottle, you'll be ready to take on the world—or at least stay hydrated!